Is there a case for the Trinity? Let’s plunge into the Deeper Waters and find out. We return to the work of Glenton Jelbert. I do agree with him in Bill Gordon’s chapter that on the face of it, I don’t understand a chapter on the Trinity in evidence for God, unless you’re trying to respond to objections about God. Still, the Trinity is an important topic, so let’s see what Jelbert has to say about this. First, Jelbert says the doctrine says that three is one and declares this to be a mystery. No Trinitarian worth his weight in salt would ever put forward such a ridiculous notion as that. No one who has a clue about this subject will say there is one God and three gods or that God is one person and three persons. Jelbert can say it’s wrong all he wants, but please, let’s dispense with straw men. He says that Thomas in John 20 displays healthy skepticism, but this is not really the case. Thomas had traveled with these guys for years and lived with them and knew them well and all of them gave the testimony that they had seen Jesus. Thomas’s skepticism was unreasonable in that sense. Jelbert ends this saying it took hundreds of years for the Trinity doctrine to evolve. We’ll deal with that later when it comes up again. He goes on to say that Mark doesn’t support the divinity of Jesus. In Mark 1, we have John the Baptist coming forward to prepare the way of the Lord. If you look in the Old Testament, the Lord is YHWH. Who shows up on the scene then? Jesus. Think Mark is making a connection? Mark also has Jesus being able to declare forgiveness of sins in His own person in Mark 2. In doing this, Jesus is being the temple which represented the presence of God. Jesus is then the new place the presence of God is made manifest. Later in that chapter, Jesus declares Himself to be the Lord of the Sabbath. What does that say about how Jesus viewed Himself? We could go on and on, but keep in mind that this is in just the first two chapters. Jelbert really needs to look at Mark more. In Matthew, we are told that no one called Jesus Immanuel. No, but this is irrelevant. Many people would also have many names and the focus is that God is with us, which is exactly what happens in the last few verses of the book. Matthew is writing an inclusio to show that Jesus is God with us. Jelbert says Matthew 28 was never quoted to show that one must go to the Gentiles. After all, the apostles all had immediate understanding and accepting of Jesus’s words. Old ways of thinking die hard. As for being baptized in Jesus’s name in Acts 2, that is because Jesus was the one that needed to be recognized as Lord. Groups today that make something magical about the names given at baptism are badly misunderstanding both passages. I do agree that there can be an overemphasis on John, but Jelbert never seems to bother looking up the best scholarship. There is no citing of Bauckham or Hurtado or Bird or Tilling or anyone else in the early high Christology group. His only reference to the Trinity doctrine evolving is Bart Ehrman’s How Jesus Became God. I have already reviewed that book and found it really lacking. In conclusion, there really isn’t much here. Sadly, even Jehovah’s Witnesses seem to have a bit more substance here. Jelbert should really consider interacting with the best in the field. Did Jesus claim to be God? Let’s plunge into the Deeper Waters and find out. Glenton Jelbert decides that he can take on Ben Witherington again and begins looking at Jesus as God. He starts off saying that there is a gap between what is attributed to Jesus and what Jesus said and did. I realize he thinks this, but he has this strange belief that Witherington has to defend every text he uses. He doesn’t. His second point is that many people have claimed to be God. I invite Jelbert to show me how many people in the exclusively monotheistic culture of ancient Israel were walking around claiming to be God. Good luck finding one. This also would mean that either Jesus was speaking in some pantheistic sense which doesn’t fit, or that Jesus was crazy. Does Jelbert really want to go there? Third, Jelbert says this presupposes God exists, but it doesn’t have to. If you are skeptical of theism, you can begin by investigating Jesus. If you decide that He claimed to be God and rose from the dead in a miraculous way, then you can justifiably think His claims are true and therefore God exists. Of course, you would want to flesh out what it means for Jesus to be God, but you could still get theism. In responding to Witherington’s case, Jelbert says what Jesus thought or did not think about Himself doesn’t count as evidence for God because plenty of people have made such claims. Again, note what I said above, but no one is arguing “Jesus claimed to be God and therefore He was God.” Witherington himself argues that the resurrection proves the claim. However, it is being argued that since Jesus made the claim and rose again, the claim needs to be taken seriously and if we want to understand how the historical Jesus saw Himself, we need to look at His claims about Himself. Jelbert has a problem with saying that if we think as Jesus did, then His intention becomes clear. To be fair to Jelbert, it is fair to be skeptical to know someone’s motives. However, Witherington is really speaking about how things would be understood in the Jewish culture of Second Temple Judaism and, well, I think I’ll just give more credence to Witherington. He knows more about this after all. No author of a synoptic gospel explicitly ascribes the title θεός to Jesus. Jesus never uses the term θεός for himself. No sermon in the Book of Acts attributes the title θεός to Jesus. No extant Christian confession(s) of Jesus as θεός exists earlier than the late 50s. Prior to the fourth-century Arian controversy, noticeably few Greek MSS attest to such “Jesus-θεός” passages. And possibly the biggest problem for NT Christology regarding this topic is that textual variants exist in every potential passage where Jesus is explicitly referred to as θεός. Well, that certainly sounds powerful, but is this person denying that Jesus was seen as God? Not at all. Hear how Wallace introduces this paper. Editor’s Note: This paper was originally given at the Evangelical Theological Society’s southwestern regional meeting, held at Southwestern Baptist Seminary on March 23, 2007. Brian was one of my interns for the 2006-07 school year at Dallas Seminary. He did an outstanding job in presenting the case that the original New Testament certainly affirmed the deity of Christ. So how does the paper conclude? Even if the early Church had never applied the title θεός to Jesus, his deity would still be apparent in his being the object of human and angelic worship and of saving faith; the exerciser of exclusively divine functions such as creatorial agency, the forgiveness of sins, and the final judgment; the addressee in petitionary prayer; the possessor of all divine attributes; the bearer of numerous titles used of Yahweh in the OT; and the co-author of divine blessing. Faith in the deity of Christ does not rest on the evidence or validity of a series of ‘proof-texts’ in which Jesus may receive the title θεός but on the general testimony of the NT corroborated at the bar of personal experience. The question now before us is not whether the NT explicitly ascribes the title θεός to Jesus, but how many times he is thus identified and by whom. Therefore, with at least one text that undoubtedly calls Jesus θεός in every respect (John 20.28), I will conclude by answering my initial question: When did this boldness to call Jesus θεός begin? It began in the first century. It was not a creation of Constantine in the fourth century. It was not a doctrinal innovation to combat Arianism in the third century. Nor was it a sub-apostolic distortion of the apostolic kerygma in the second century. Rather, the church’s confession of Christ as θεός began in the first century with the apostles themselves and/or their closest followers and therefore most likely from Jesus himself. One has to wonder what is going on here. Did Jelbert not look at what the paper was arguing? Did he get a snippet from someone else and just go off to the races with it? Either way, if Jelbert thinks this paper is authoritative, then he should agree that the idea of Jesus as God goes back most likely to Jesus Himself. It also doesn’t work to say that this is something that evolved. After all, many of the references to Jesus as deity take place in the Pauline epistles, see for instance Tillings’s Paul’s Divine Christology. How is it then that we get Paul who says Jesus is God then and then later on the Gospels, which are evolved, do not say it? Jelbert also says it’s a stretch to say Jesus had knowledge of this and chose not to share it. No one is arguing that and the paper Jelbert cited is evidence otherwise since it says the idea of Jesus as God goes back to Jesus Himself most likely. The idea is that we moderns often think Jesus had to say something explicitly. Not at all. Jesus’s claims were roundabout ways of getting people to think about His identity and make a judgment. Witherington also says that Jesus showed His deity in making comments about the Laws of Moses that would seem to even override it. Jelbert says this just gets you in contradictions. After all, the Sabbath was from God and yet Jesus overturned that teaching. How are we to understand that? Doesn’t this show the Bible is a human construction? First off, I think it’s interesting that when we talk about science and someone presents what they think is a problem with evolution or any other theory, Jelbert says we need to study more and it’s good to investigate a matter. Here, he sees what he thinks is a contradiction and yet doesn’t want to do the same thing. Are we to investigate problems in science and not in Scripture? Second, Jesus never overturned the Sabbath. Jesus did observe it, but He didn’t observe the traditions the Pharisees added on to it. Jesus also never Himself changed the day of the Sabbath. This came later as Christians recognized the new creation. Finally, the Law is part of the revelation to the Jews in that covenant. Gentiles have never been under the old covenant. We’ve never been obligated to observe the Sabbath. Naturally, Jelbert also doesn’t interact with the early high Christology group with scholars like Tilling, Bird, Hurtado, Bauckham, and others. I was really hoping when we got out of science to find some essays with some meat on them that would really leave me wrestling. So far, I’m disappointed. What do I think of the second part of this book? Let’s plunge into the Deeper Waters and find out. In the second part of this book, we have the contributions from “Rev.” Michael Macmillan. I use the Reverend in quotation marks because I wonder what exactly he is a reverend for. I mean, the first part of this book argued that all gods are human constructs, so why should his construct be treated any differently? Perhaps the authors are saying that all gods are human constructs, except for theirs. Macmillan lists his problems with supernatural theism and one part is the violence, such as the people God kills in the Bible. It’s interesting to see this in light of the idea that he has a problem with God not always intervening in cases of people with cancer and such. I find this an interesting juxtaposition. If God doesn’t intervene every time in the evil of cancer, He doesn’t exist. When He does intervene when it comes to evil people, He also doesn’t exist. If something is arbitrary, it is when Macmillan wants God to intervene and when he doesn’t. Of course, there will be no interaction with scholars like Copan and others who have written on the topic of the God of the Old Testament. It’s enough for Macmillan to say he doesn’t like it. There’s nothing here arguing that God is obligated to keep anyone alive or that He owes life to anyone. I also think it’s odd to say God is evil because He doesn’t always intervene with cancer. If that God isn’t worth believing in, well what is Macmillan’s god doing about cancer? It’s still going on. People are still dying. Macmillan says that it doesn’t fit with progressive Christianity to do petitionary prayer or intercessory prayer, even if those are natural. If the Christian God is evil, what excuse does Macmillan’s god have? Could we apply the standard questions to him to ask if he is omnipotent, omniscient, and omnibenevolent? Does this god really care? Why is Macmillan worshipping him? What is this god worth? He also talks about Paul in Acts 17 as moving away from supernatural theism by saying God doesn’t dwell in temples made by human hands and such. It’s interesting he says this while having Paul say that God is unknowable. To an extent, He is as we cannot know everything about Him, but we can know some things about Him. If He was unknowable entirely, Paul could not even say this about Him. As for saying in Him we live and move and have our being throws supernatural theism right out the window (And keep in mind I don’t use the term supernatural but Macmilland does so I use it for that reason here), how exactly? He gives no explanation. This is really part of classical theism and has been for a long time. Macmillan says to ask any fundamentalist and he will tell you that the Bible contains the literal truths of Acts of God. This includes a six-day creation and a worldwide flood. He also adds in the virgin birth (Which I do affirm) and the deliverance of Israel. While I do not agree with young-Earth creationism or the flood being worldwide in reach, I do support the other two. Macmillan shows no interaction with the scholarship on these issues unfortunately. In talking about Jesus, Macmillan says that the creeds of Christianity, and he has in mind the Nicene Creed, are dangerous since they turn Jesus into a being to be worshipped rather than someone whose life is to be emulated. Macmillan says that is a long road from rabble rouser to true God from true God. Indeed, it would be, but how was this point even reached? I honestly don’t even know how Macmillan’s Jesus got crucified and for sedition as even Macmillan says. Jesus is apparently going around Israel teaching to give to the poor and have compassion on your fellow man. This Jesus would not be noticeable. He would not be crucified anymore than a Mr. Rogers would be crucified. Macmillan also says that the message of the Kingdom of God has been lost. This is interesting since evangelical scholars have no problem with the message. Namely among them is N.T. Wright. Perhaps we can forgive Macmillan since it looks like he limit his reading to people like Borg, Ehrman, and Spong. I’m not saying to not read them, but read both sides! Many of us won’t be surprised when he says how the journey ends. He tells his audience, as these are all sermons given, to point to themselves and say “I am the Christ!” and to point to their neighbor and say “You are the Christ!” and then to say “We are the Christ together!” At this point, it is clear that the deity Macmillan believes in is ultimately himself. Macmillan’s Jesus will present no challenge to him. He will not call him to die to himself. He will not call him to take up a cross. He will not call him to repent of sins. He will instead build him up so much that he thinks that he is the Christ. Macmillan further says that through the experiences he describes, we will meet and experience Jesus like never before. Of course, if Jesus is yourself this would follow. Macmillan and his audience will not get a deeper understanding of Jesus, but of themselves. Now we should understand ourselves, but worship is not about realizing who we are but realizing who God is. Why also should we trust this experience is reliable? What about my fellow evangelicals who experience Jesus as described in orthodox Christianity? Do our experiences not count? How will we determine whose experiences count? What if two people in progressive Christianity disagree? He also says that one of the greatest crimes and sins is the message of salvation. It is a horrible idea to say we need salvation and has robbed death of its meaning. No idea how this is possible, but it’s amazing that Macmillan will freely list out the sins of God, but when it comes to his own he has no need to be made righteous. When talking about prayer, he asks what meaning it has if there is no God up there to hear us. I agree. What meaning does it have? Unfortunately, he never really answers that. Macmillan cannot beseech his god for anything apparently. What good does Macmillan’s god do? Better to have the God who heals some people of cancer instead of none. If the God of Christianity is evil for allowing anyone to die of cancer, what about Macmillan’s? Macmillan in a message towards the end says that anyone who reads his book wins even if they don’t agree, because they know the rest of the story. Now we know about 200 years of science and Biblical scholarship. Well, no. We don’t. We know about a one-sided message that has been given. He tells me it is likely I have never heard a pastor say the Easter story is metaphorical or that God is a human construct. Well, actually, not pastors, but I have heard plenty saying such things. I have spent years reading the scholarship which is why I’m convinced Macmillan is flat wrong on these issues. He has shown no interaction with the other side at all. He tells me also that if I don’t believe, what makes me think I know better than the world’s leading Christian scholars? I don’t. The thing is, Macmillan does, because I have read the world’s leading Christian scholars. I think their arguments are far better than those on the other side. Macmillan may claim the title reverend, but to quote another book, his god is too small. I see nothing in his good worthy of worship. It is rather a sort of amorphous blob who in the end will be made in the image of Macmillan instead of the other way around. Does Matthew 24:36 refute the Trinity? Let’s plunge into the Deeper Waters and find out. A reader sent me this piece from Vox Day wanting to get my input on it. Vox is a smart guy and has written going after the new atheists, though it was a book I never got around to reading. Yet here, the argument really isn’t the best. It’s one of the common arguments used against the Trinity. Go to Matthew 24:36 and Jesus doesn’t know the day or the hour of His second coming. (My Preterist self wants to be clear it’s not about His return. That’s something else.) Not only do we have to explain the Son, but what about the Holy Spirit. Why isn’t He listed? There are two options here. The Son is a simple case I think. The Son took on a sort of kenotic emptying as in Philippians 2. This was not an emptying of His deity. It was an emptying I think of the prerogative to use His divine attributes apart from His mission. It wasn’t necessary that the Son know the time of the events. All He had to say was it would be within this generation. This has been the traditional understanding for quite some time and let me state that to argue against the Trinity is to argue against the wisdom of the major traditions of Christianity for thousands of years. Of course, there are some passages that are hard to understand, but there are far far more that are harder to understand otherwise. I don’t expect Vox to go and do a full look at every passage. It’s appropriate to bring up one concern at times. Yet this doesn’t answer about the Holy Spirit. Shouldn’t the Holy Spirit know the date of the second coming? For this, there are two answers. The first is that the Spirit submits to the Father and to the Son so there could be some limitations that the Spirit takes on as well when the Son goes on His mission. This isn’t because of the Spirit taking on humanity, but the Spirit working in tandem with the Son in the same kind of way. The Spirit would not be revealed this. Another is to look at a passage like 1 Cor. 2:11. No one knows the things of God except the Spirit of God. This would mean that the Holy Spirit would be included in the identity of the Father. We could also ask if God the Father would be ignorant of something since in Rev. 19 the Son of Man comes riding a white horse with a name no one knows save Jesus Himself. Vox would not likely have a problem with this since he does not accept divine omniscience. I do. Still, while it might not be that either of my interpretations can be proven to be the right one, they are both I think viable interpretations of the text and better in line with what has been taught throughout the church. If someone wants to go against a doctrine all three branches of Christianity agree on, I think the burden is highly on them. How shall we wrap it up? Let’s plunge into the Deeper Waters and find out. Our journey with David Pye at this point comes to an end unless there are future books, although he is responding in comments so we might see more there. In the conclusion, Pye just sums up pretty much earlier chapters. There are some appendixes afterward. One is on the dear Dr. Laura letter which we addressed earlier. The others are on Christianity being a religion and what it means to be a committed Christian. There is not much to say about those latter two as they seem to go on pop Christianity sayings. A few things in the concluding chapter however. Pye does look at the passage in Revelation to the church in Laodicea about how He wishes the people were either hot or cold, but they are lukewarm instead. Pye makes a common mistake of thinking hot means passionate for Jesus and cold means someone who is not convinced that Christianity is true and is considering dropping. If he decides to drop it he is cold, but if he doesn’t he is lukewarm. I have sadly heard this often in churches, but it is quite foreign and just considering it should tell us. Who among us thinks cold water is entirely bad? You might heat water for hot chocolate, but don’t we like cold beverages as well? Isn’t cold water refreshing? The city of Laodicea had water sent through pipes to it from the outside. Some of it was hot and some of it was cold. Each could be used for a sort of purpose. If water was lukewarm, it really served no purpose. Jesus is not making any statement about passions but saying that the Laodiceans have become water that is good for nothing. Pye also encourages people considering Christianity to be careful of Christian propaganda and testimonies. I agree, but I would also say to be careful of ANY propaganda and testimonies. Yes. Atheists have testimonies. I meet many regularly who tell me about their past life as a Christian. It’s almost like they never learned to move beyond their personal testimony. I would also encourage researching the best works of scholarship on the issue and in looking at Pye’s work, I don’t think he did this. I see some interactions with Lewis, which is good, and the most recent scholarly work from a Christian side I see is McGrath. I like Alister McGrath, but one needs to have more than one. I also think based on Pye’s story that he had a very pop Christianity type of Christianity. He talks about a big problem to him was the one in the fifth chapter about there not being a command to worship the Holy Spirit. This is an example of letting a secondary issue become primary. What? This is a secondary issue. Yes. If the Holy Spirit can be seen to be God in the New Testament and you are told to worship God, then you worship the Holy Spirit even if not explicitly stated. Furthermore, consider this. Picture being a Christian who is convinced Jesus rose from the dead by the history and by exegesis and church history, you are convinced that the Bible teaches the Trinity. Will the lack of an explicit command like that trouble you? Nope. Not a bit. By the way, that’s a big problem I see with Pye’s work. Nowhere does he touch the resurrection of Jesus. If you want to say Christianity is not true, you need to say something to explain the rise of the church. How do you explain what happened to Jesus? On a positive note, I will say Pye’s work is very readable and while he is much more on the atheist side, he does not have the vitriol that most atheists I encounter have. Pye does strike me as the kind of guy I could go to the pizzeria with or have some tea with at Starbucks. I also do think his criticisms about how we live our lives and do evangelism should be heeded. Perhaps we will interact more with Pye in the future even beyond the comments, but in the end, I put down his book and don’t see anything to raise any substantial doubt. What’s coming up on the next episode? Let’s plunge into the Deeper Waters and find out. Who do you say the Son of Man is? It’s a question that’s still debated today. The number that debate if Jesus even existed in scholarship today is marginal and not worth talking about. The number that debate who He is is much more significant. This is something unique about Jesus. The Pauline epistles give us a good insight into who Jesus was, at least our earliest source on Him. One interesting one is Colossians. Of course, a lot of scholars doubt Paul wrote that, but if He did, it gives us an interesting look at the view of Jesus. But doesn’t Colossians have a lower view of Jesus? It refers to Him as the firstborn of all creation. Isn’t that the verse the Jehovah’s Witnesses love to use? Doesn’t this demonstrate that Jesus was a created being? Is there anything in the letter that can show us that Jesus is in someway equal to YHWH in the divine identity? Does Paul show a high Christology in the letter or not? What do the leading scholars in the field think? My guest this Saturday is someone who has done his dissertation on the topic of Colossians and the view of Jesus in there. He has wrestled long and hard with this short letter and has come to firm conclusions. I will be talking with him about what his researched discovered. His name is Matt Delockery. 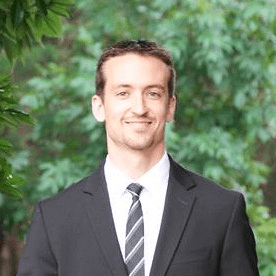 Dr. Matt DeLockery earned his Bachelor’s degree in Business from the Georgia Institute of Technology, his Master’s in Divinity from Luther Rice University, and his Ph.D. in New Testament from Radboud University Nijmegen (pronounced RAD-bowd and NIGH-may-hen). He is the founder and President of the apologetics ministry Why Should I Believe which has chapters at Georgia Tech and Cornell, and you can find his podcast and blog at mattdelockery.com. A brief update also on the whole Facebook Live and such. We are still working on that. We had some technical difficulties last week and I am still trying to find out how to work out the software and have not had the time to really sit down and do anything. I hope to before too long so you all can get to interact with my guests that way. But we will be discussing with Matt our questions about Colossians. What is Paul saying about Jesus in this letter? Do the Jehovah’s Witnesses have a point? What does it mean to say Jesus is the firstborn of all creation? Is there anything else in the epistle that would further prove a problem for the Witnesses? I hope you’ll be listening and we will try to do what we can with Facebook live, but there are no promises. I really want you all to be able to see the guests that I have on the show and be able to ask your questions for me to share. Please also go on iTunes and leave a positive review for the Deeper Waters Podcast.